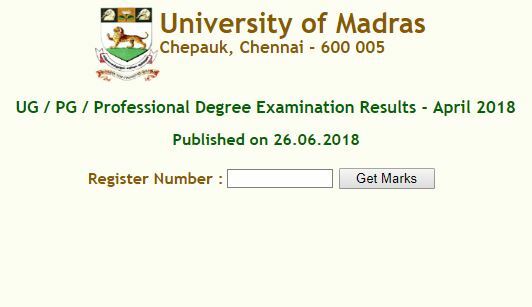 1.Go to the official results website of Madras University. 2.Click on the results link you are waiting for. 3.Enter your examination registration details in the fields given.